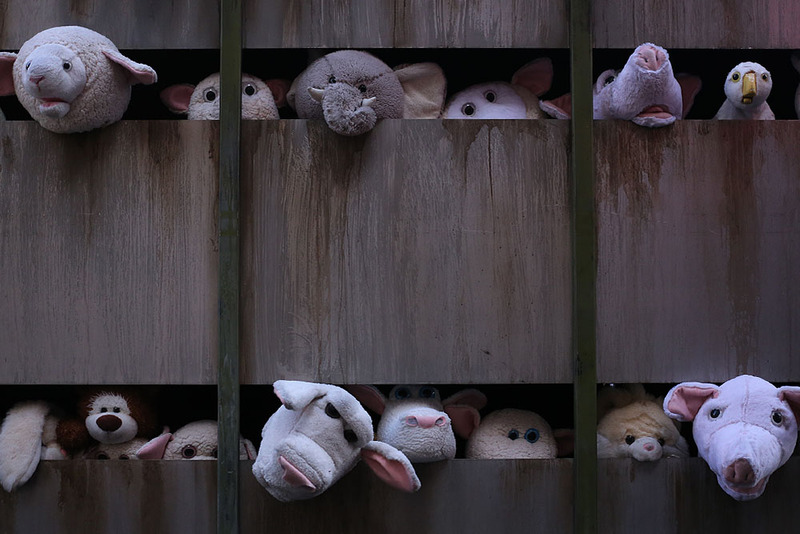 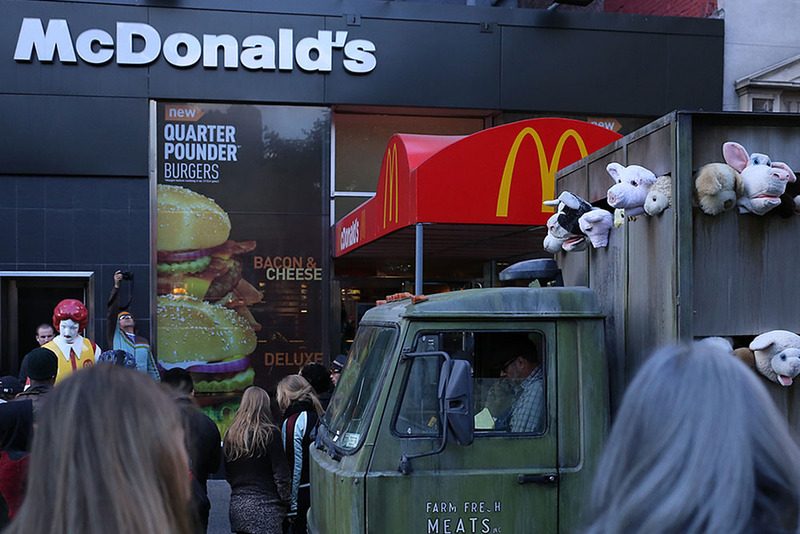 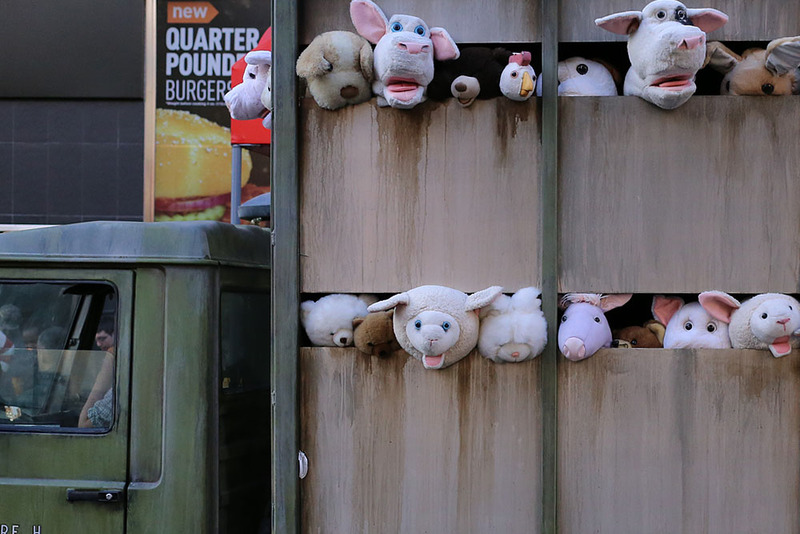 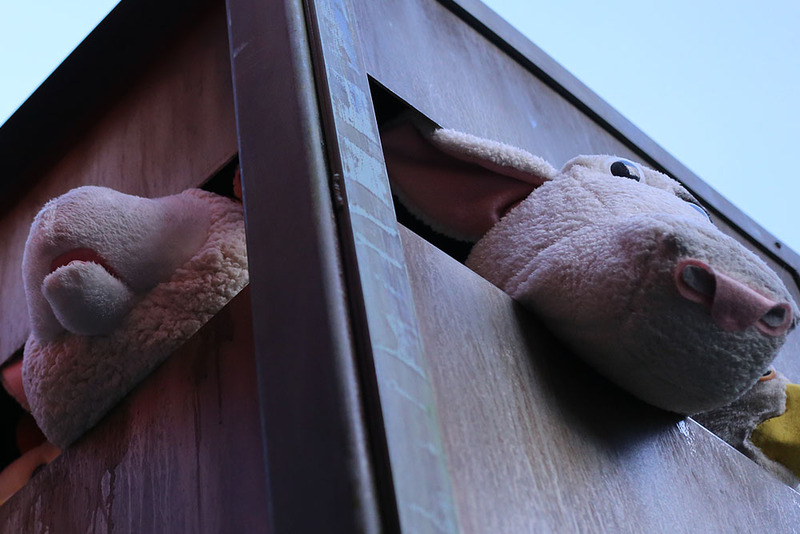 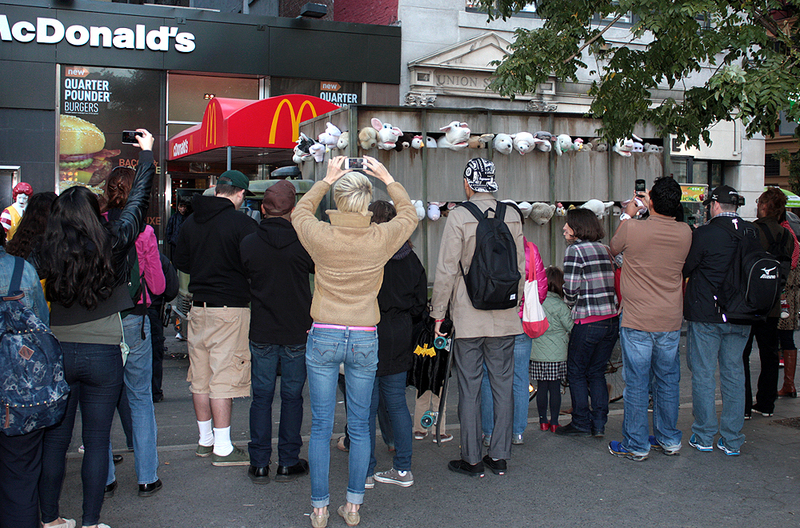 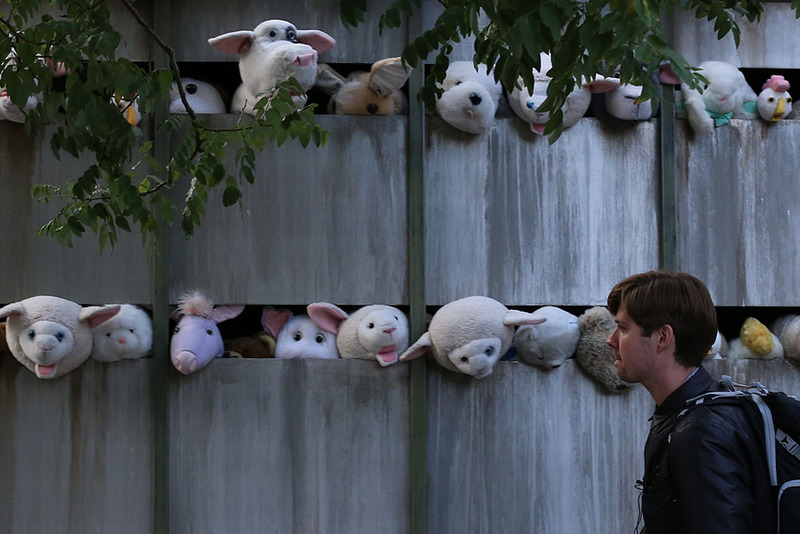 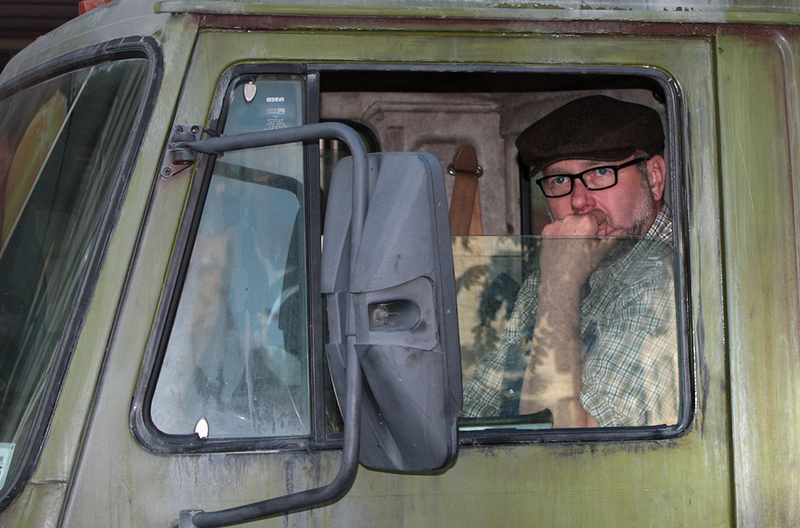 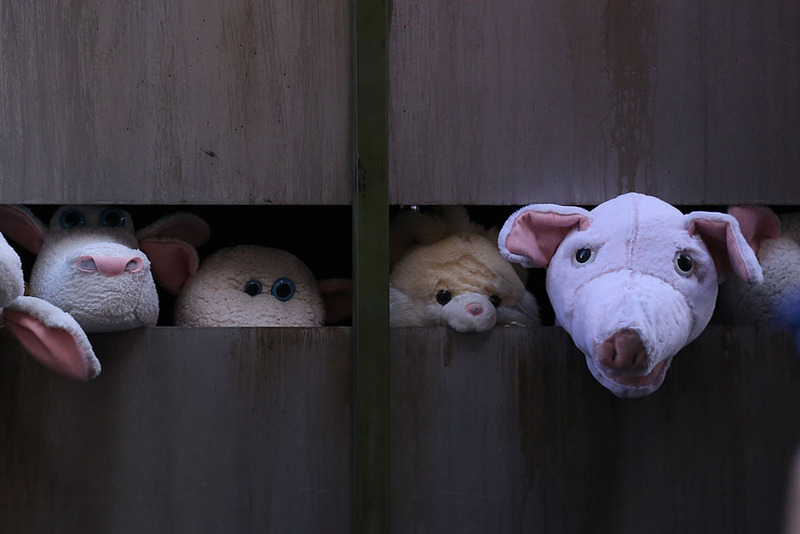 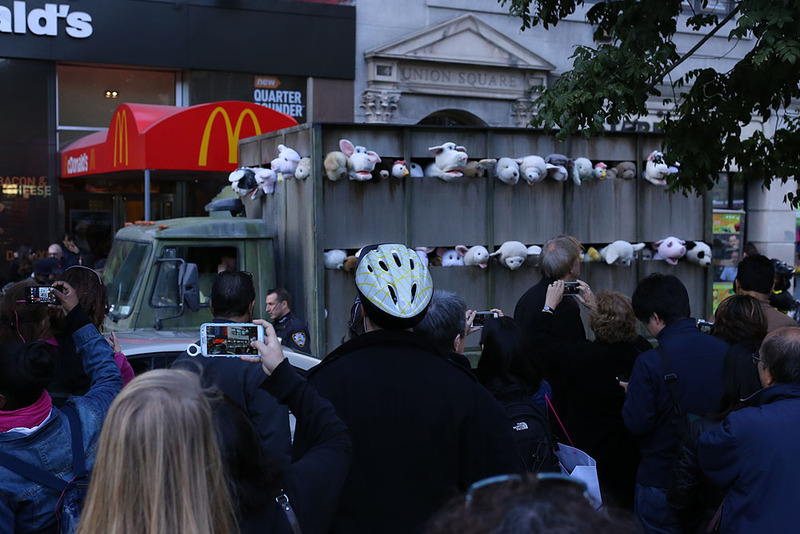 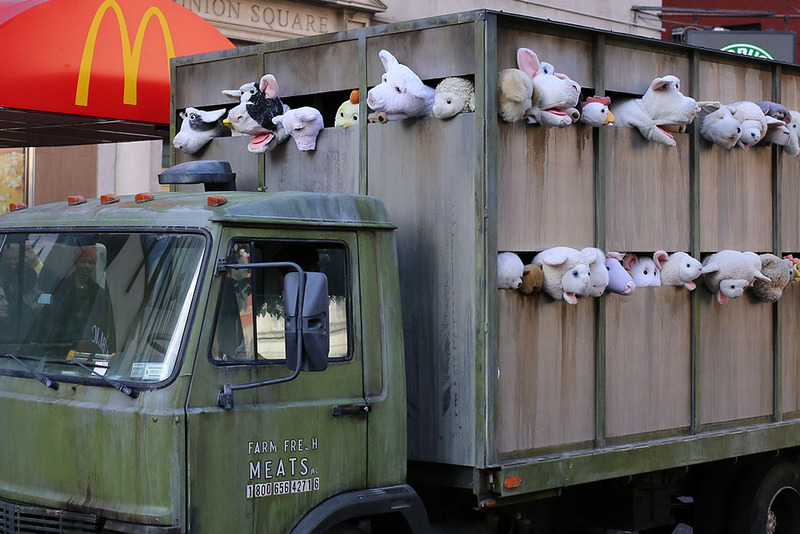 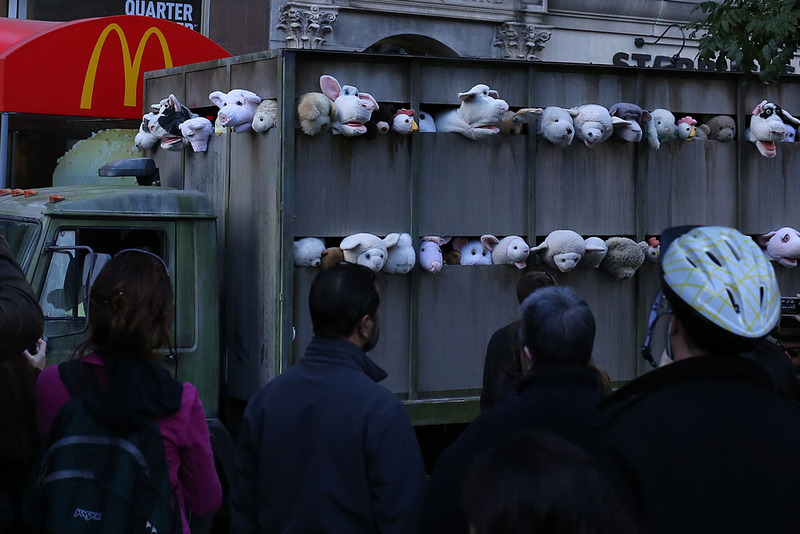 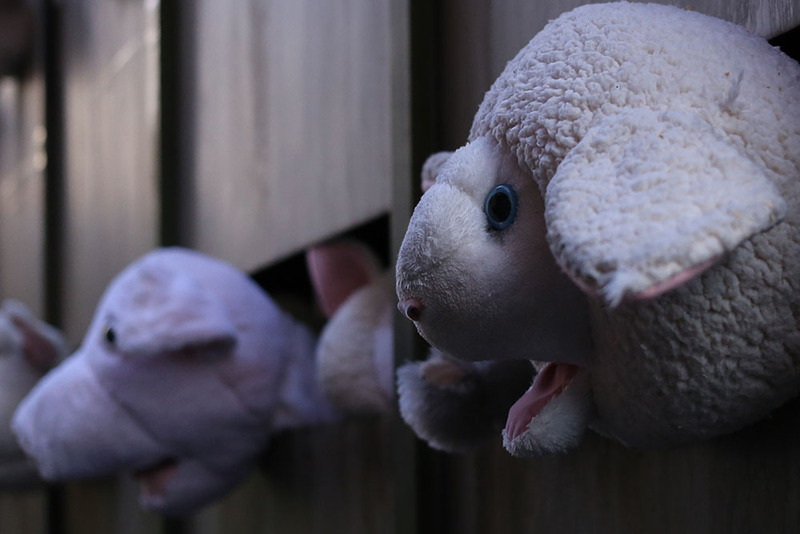 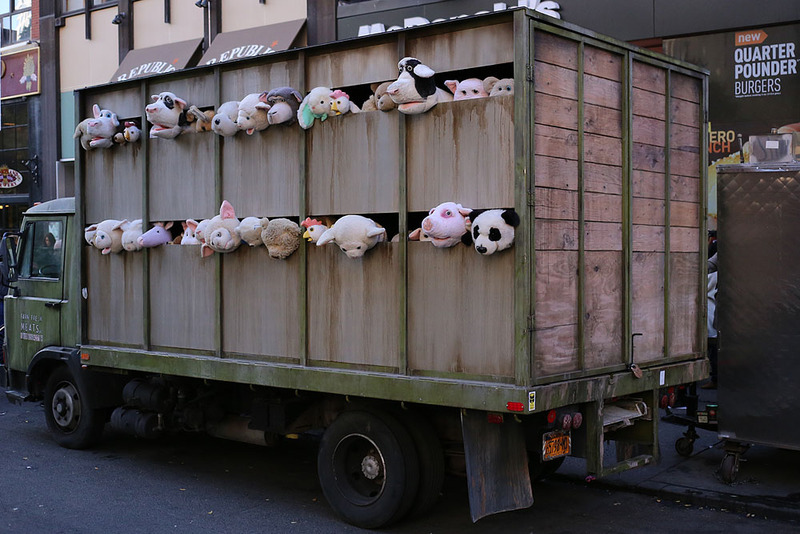 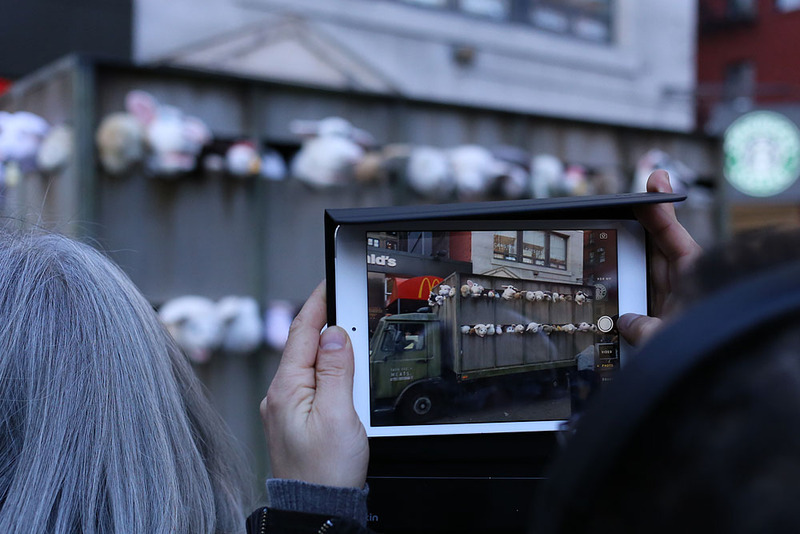 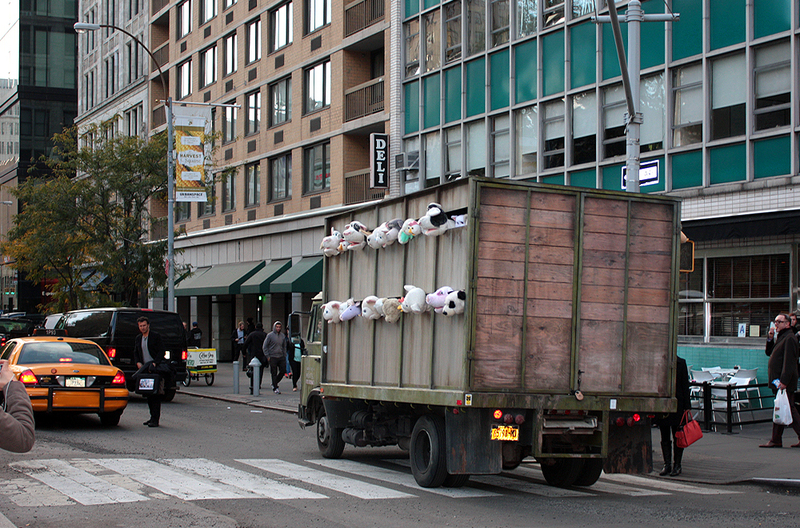 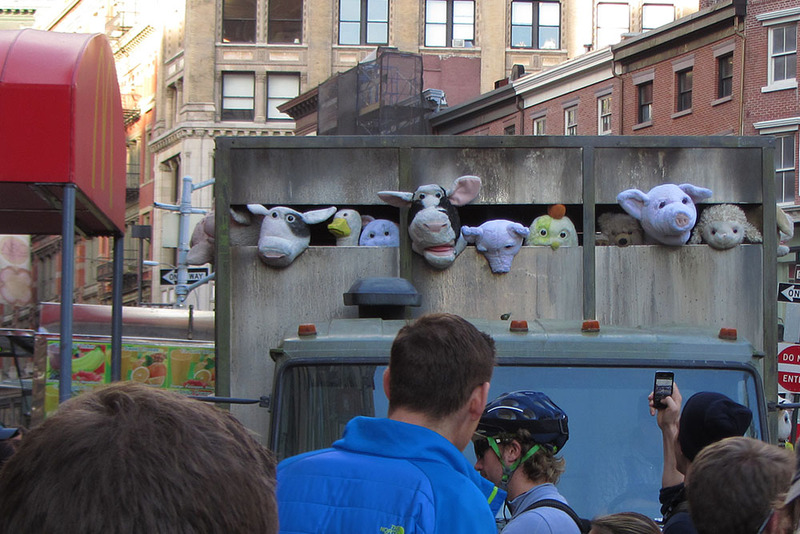 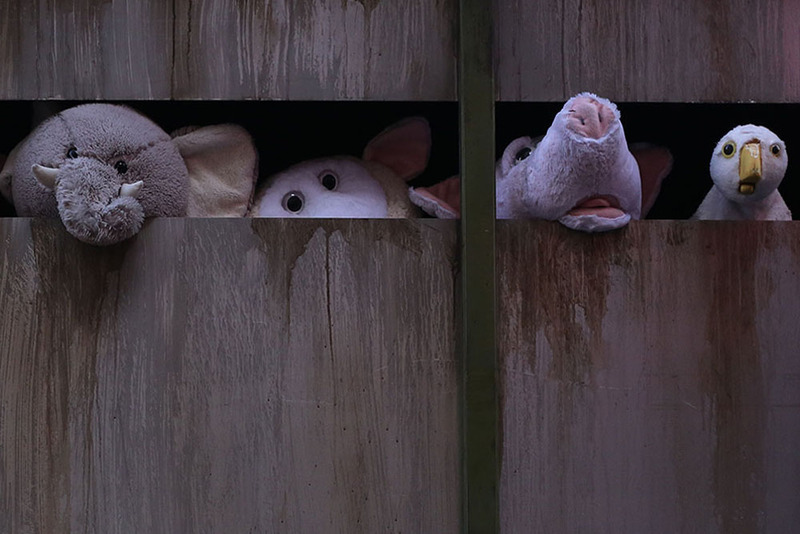 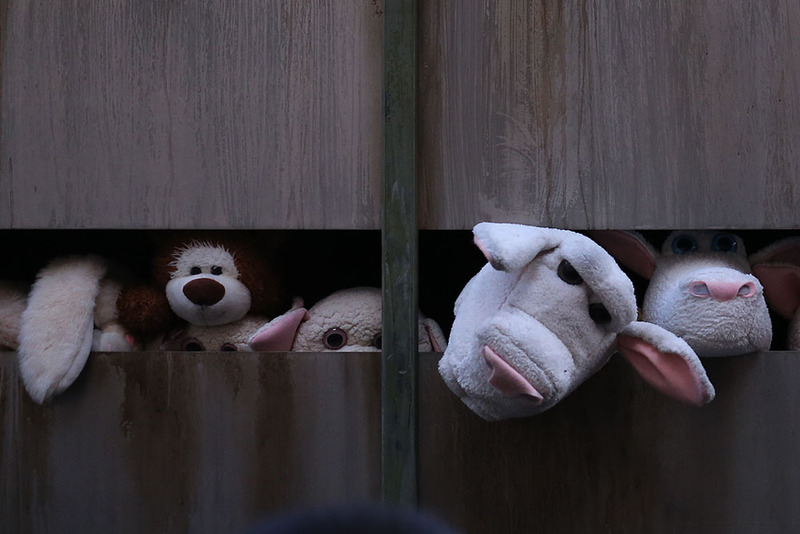 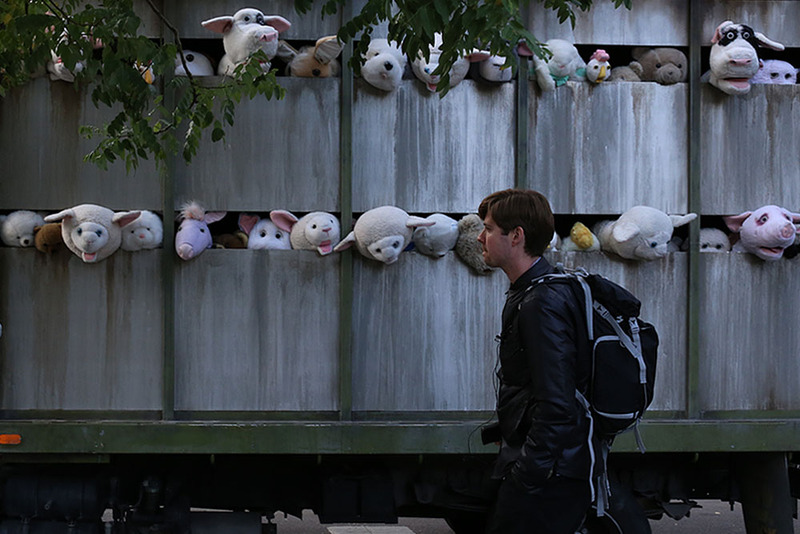 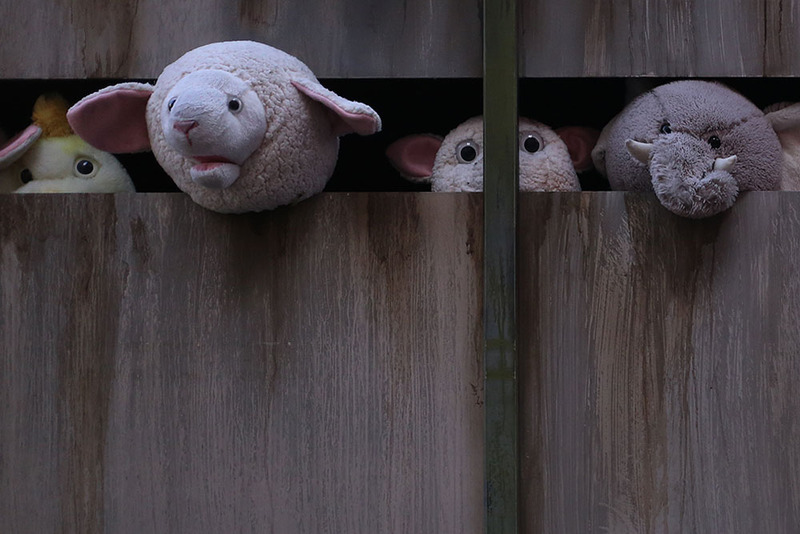 LONDON STREET ARTIST BANKSY IN NEW YORK: A slaughterhouse truck loaded with squealing animal puppets is one of the Banksy art pieces randomly appearing in different neighborhoods thru the end of October. 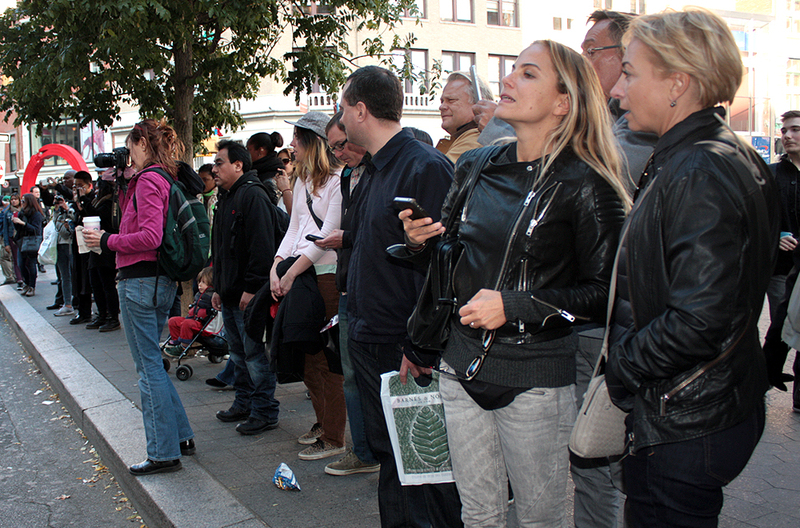 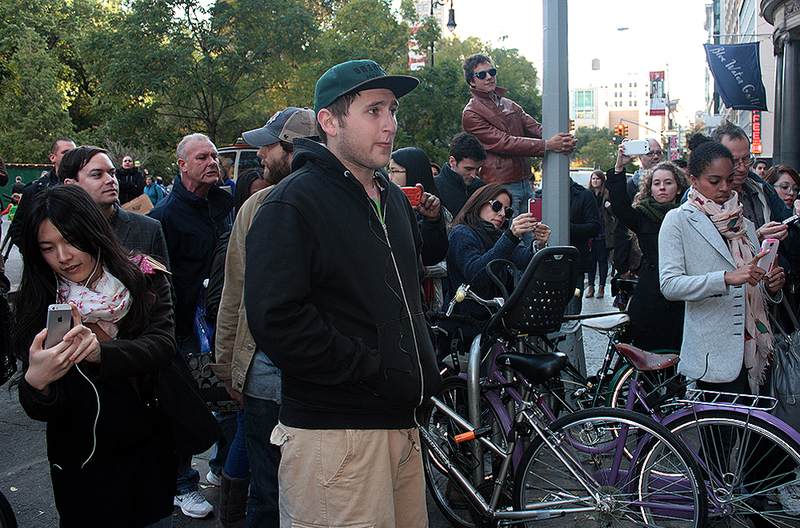 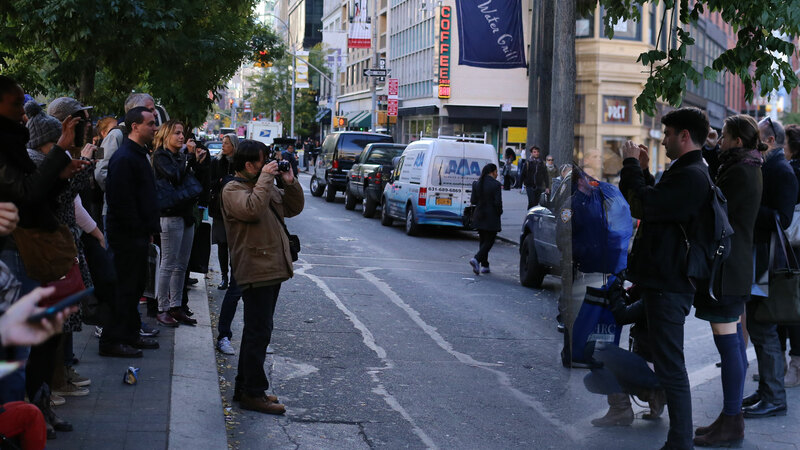 This one was spotted in Union Square for about 15 minutes. 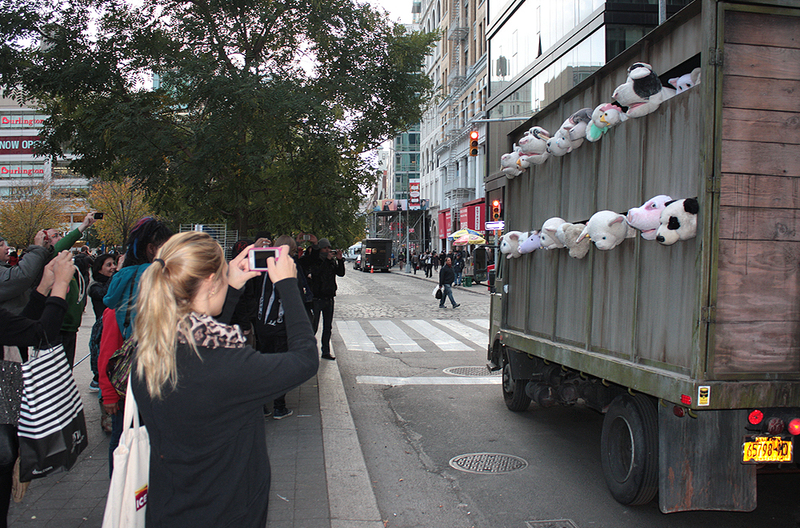 The exhibit appears outside meat markets, meat stores etc. 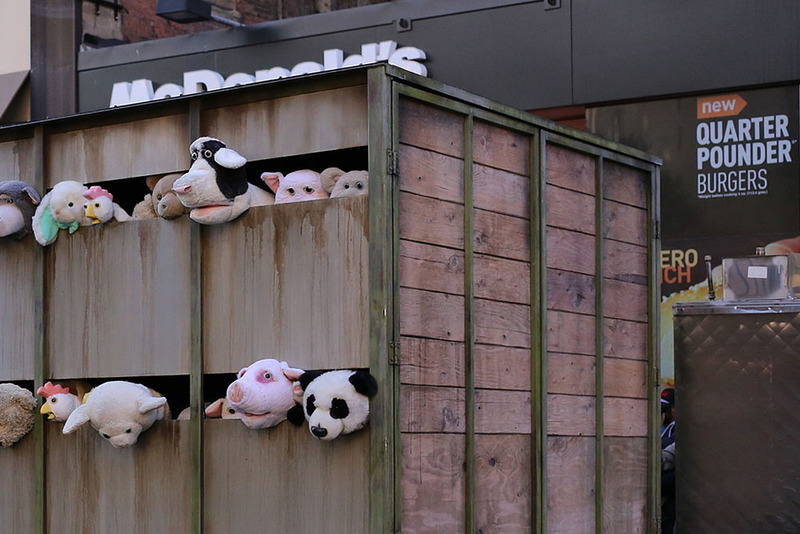 Here it is outside McDonalds. 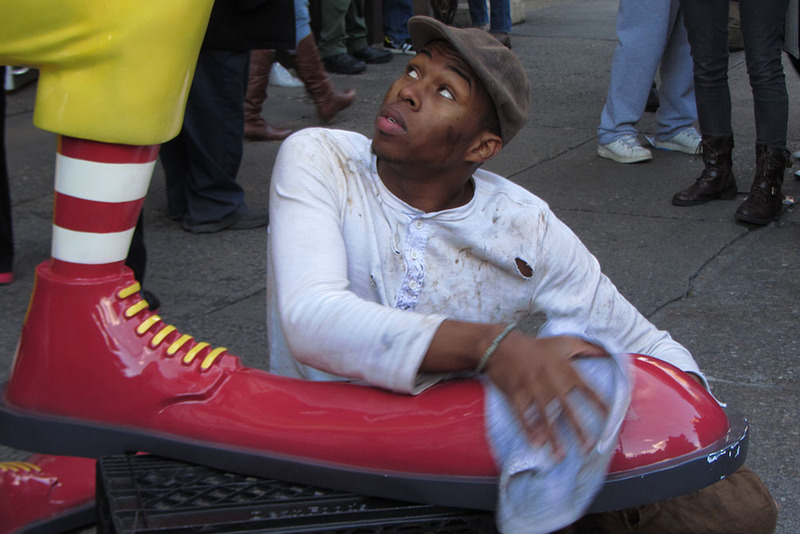 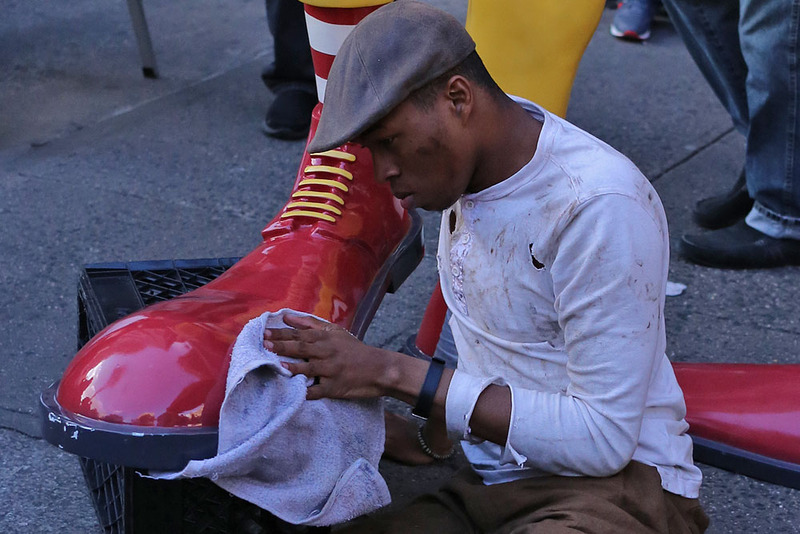 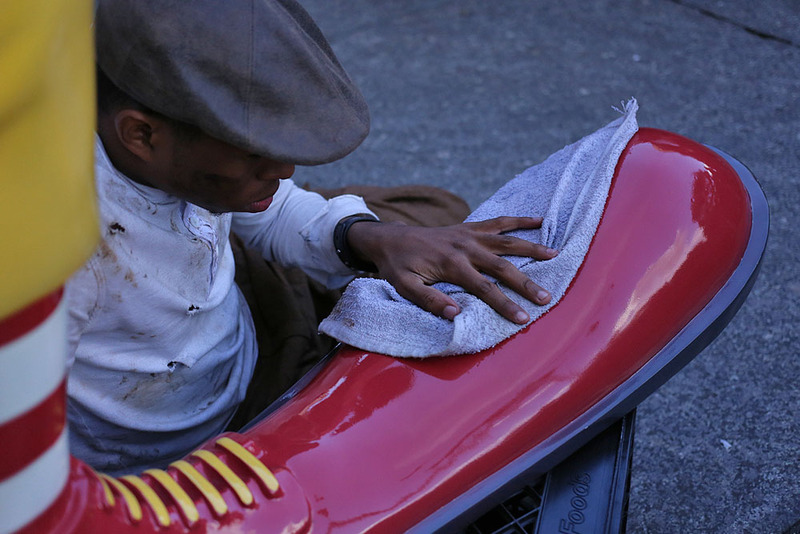 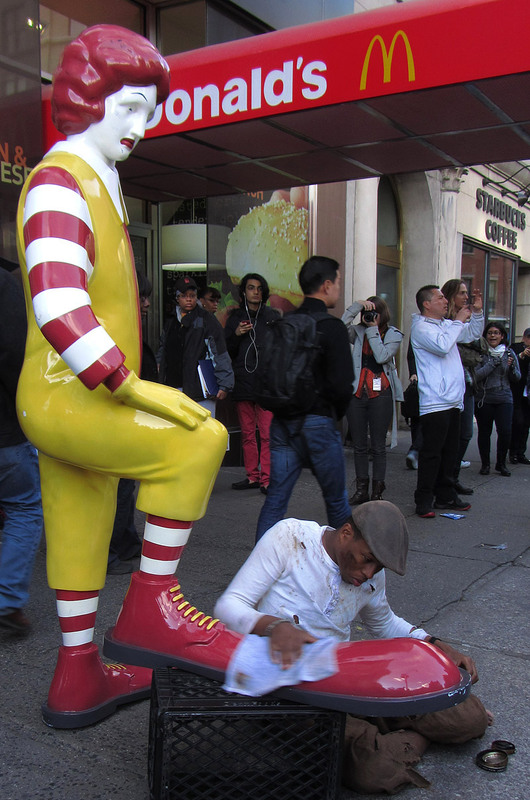 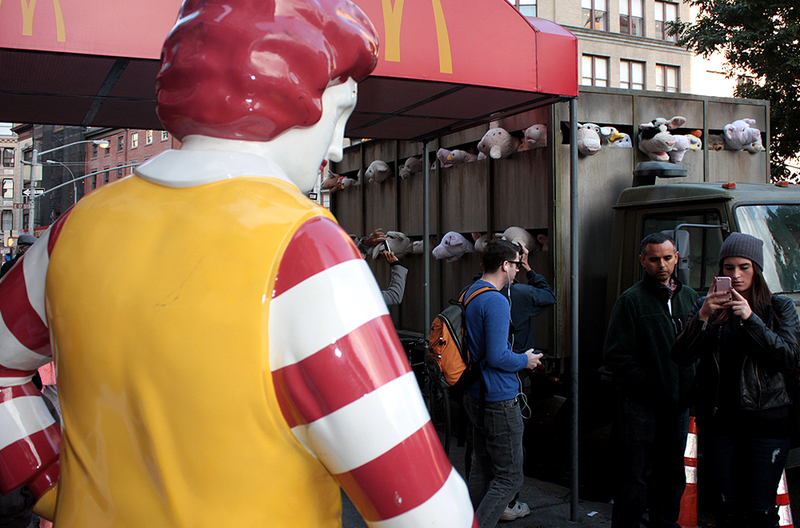 A seven foot tall Ronald McDonald is also shown with oversize shoes being polished by a real life 'shoe-shine' boy.